What Are the Benefits of Wild Cherry Bark? Wild cherry bark taken from the root, trunk and branches reportedly aids digestive and respiratory ailments. Native Americans and practitioners of Chinese herbal medicine used it long before herbalist Maud Grieve added it to her 1931 book, "A Modern Herbal." Herbal remedies should only be gathered wild when the plant in question has been positively identified by a "competent observer," according to Charlotte Erichsen-Brown, author of "Medical and Other Uses of North American Plants." Check with your health care provider before using wild cherry bark. Wild cherry bark is classified as a "relaxing expectorant" because it thins mucus secretions and coats irritated respiratory tissue, states Shayne Foley, contributing author at HerbalEd.org and education director with Herb Pharm, a manufacturer of herbal medicines. It is easier for the fine hairs of the respiratory system, known as cilia, to move thinner secretions out of the lungs and bronchial tubes. 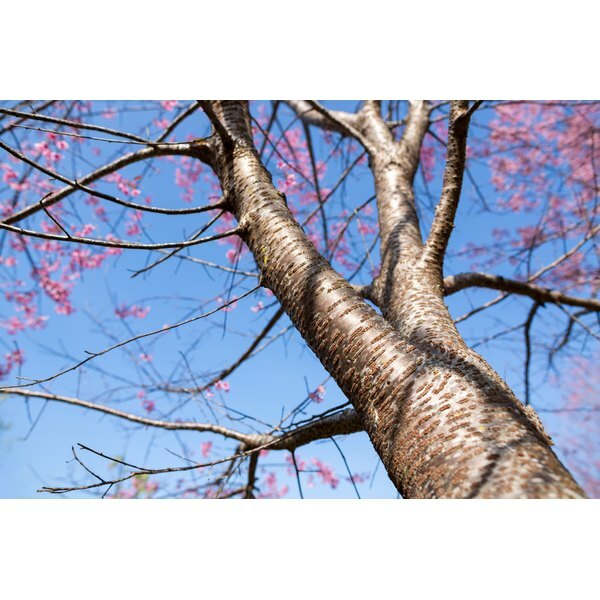 Wild cherry bark extract suppresses colorectal cancer cell growth, according to Kiyoshi Yamaguchi, et al., whose study was published in the January 2006 issue of "Oncology Reports." The extract prevented B-catenin/T-cell factor transcription, which means that it prevented the formation of new cancer cells. B-catenin is a protein that controls what various cells become as they are created by the body. Transcription is the process by which genetic material in the cell "switches on" to become a given type of cell. Although there are no randomized, double-blind studies supporting its use to soothe colic and dyspepsia, or gastric distress, Native American and Chinese herbalists used it for that purpose for centuries. Until such studies are conducted, products containing wild cherry bark are not permitted to state that it has any effect on the digestive system. HerbalEd.org: What's in a Cough?